We have all heard talk of prefabrication being the next big thing to revolutionise the construction industry in the next 20 to 30 years. Lizzi’s career started as a high performance athlete and she carries this mentality into her work. Her proven achievements in sport have enabled her to be inquisitive and successful in her relationship building and problem solving of recruitment needs for her clients. 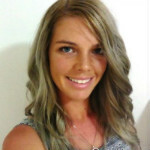 Over the past 5 years, Lizzi has established herself in the recruitment market across a broad sector of technical construction and mining disciplines in Queensland. Her area of expertise is the recruitment of white collar technical roles within commercial construction in south east Queensland. This includes roles from Graduate level through to Senior Management. Lizzi places a strong emphasis on her business development skills, enhancing her ability to develop and maintain valuable relationships with both clients and candidates within the industry.